You know how make-or-break your first day back at school can be, so you can imagine how much a dead phone or a drained iPod could seriously cramp your style. Don't be a victim. With the right gear - i.e. 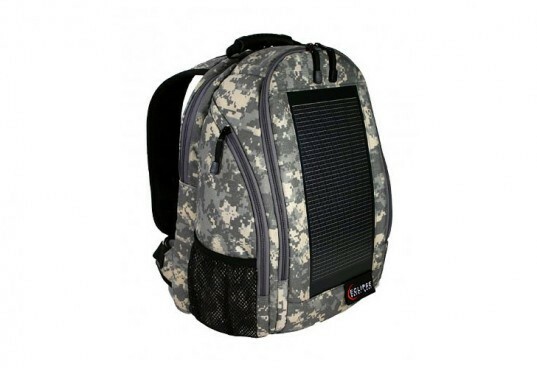 one of these high tech solar-powered backpacks - getting the low-battery chirp on your cell will be a non-issue. 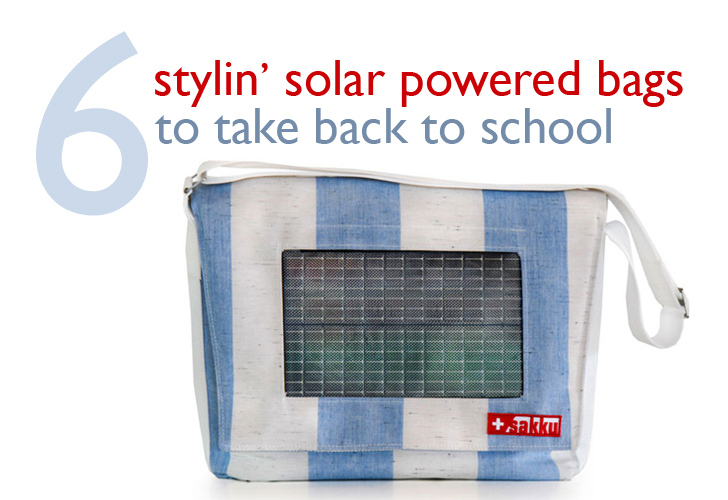 Just plug it into your bookbag and let the sun do all of the work juicing it back up. That way you can get back to more important issues like trying to get excused from phys. ed - yeah, we used to have a mysterious "allergy" to gym clothes too. It may be camo, but the Eclipse solar backpack has standout style. With a charging module that provides 4 watts of power to revive your gadgets from the dead, you’ll never have to worry about missing a text from that cutie you just met in biology. Plus it’s roomy enough for all of your books and the felt lining is made from 100% post-consumer recycled plastic bottles. We’ve featured Sakku bags before, and we’re feeling their newest line of masterfully-crafted solar bags even more than the last. 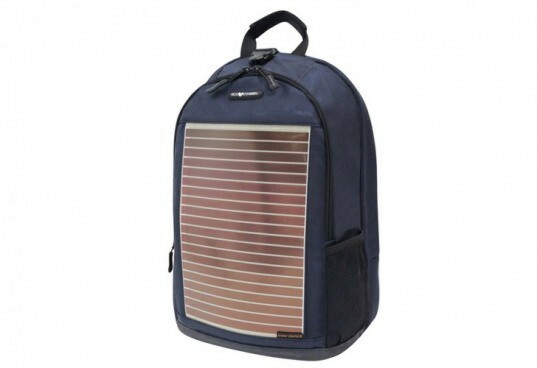 Not only do they have the added advantage over similar bags of having a battery that can store solar energy (meaning that you can charge up your electronics even at night or when there is no direct sunlight), each bag is manufactured in Switzerland and all of the emissions generated during production are offset. Plus the head-turning nautical styling of the Sakku Buddy (pictured here) is definitely an added bonus. With 4 Watts of juice, the Voltaic Converter is a powerhouse that will charge your phone, mp3 player or other electronics in a flash. It has a sophisticated, no-nonsense design that will turn heads on campus while also keeping all of your supplies organized with its padded laptop sleeve and easy to access front pockets. 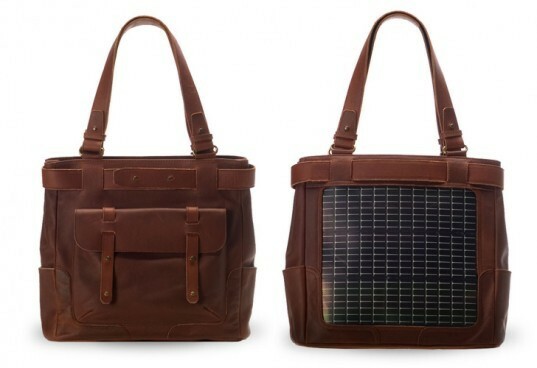 If you like to carry a tote or a purse to class in lieu of an actual backpack, the NoonSolar Augusta is right up your alley. Made of supple, naturally dyed, heavy metal and chemical free leather, the Augusta is lady-like sophistication on the front and pure power-collecting panel on the back. If you’re going to be traveling across the country – or even abroad – for school, the Eco Traveler is a fitting choice for a solar backpack. It recharges your gadgets via its lightweight PV panel, and it has the added bonus of having a TSA checkpoint-friendly design. It features handy compartments (including one for easy removal of your laptop) and it has a wallet-friendly price so that you can save up for your next plane ticket. 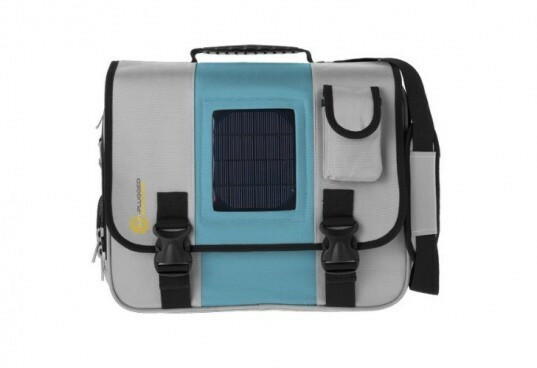 For those of you crazy kids who prefer messenger-style bookbags, there’s the Sun-Plugged Solar Urban bag. Its grey and sky blue exterior is as tough (waterproof, scratch resistant) as it is attractive and each one comes with a USB power cord and adapters for iPods/iPhones, and a variety of other phones. The convenient outer pockets and secure inner laptop compartment make it easy to keep all of your notebooks, pens and various other tsotchkes nice and neat. 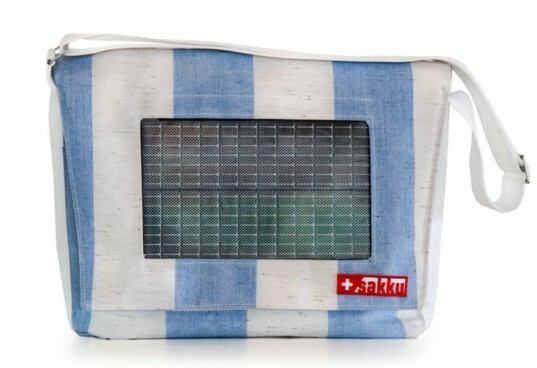 This list is great, I didn't even know there were all these other solar bags, I got mine at http://solarprostore.com I think its was the best investment I ever made considering I can charge my phone anywhere! Love the backpacks -- hate the price. If it were less than $50 more people would buy them. 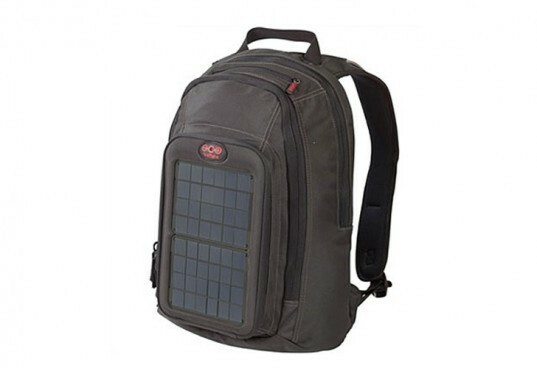 SUN TREK If you're going to be traveling across country - or even abroad - for school, the Eco Traveler is a fitting choice for a solar backpack. It recharges your gadgets via its lightweight PV panel, but it has the added bonus of having a TSA design.